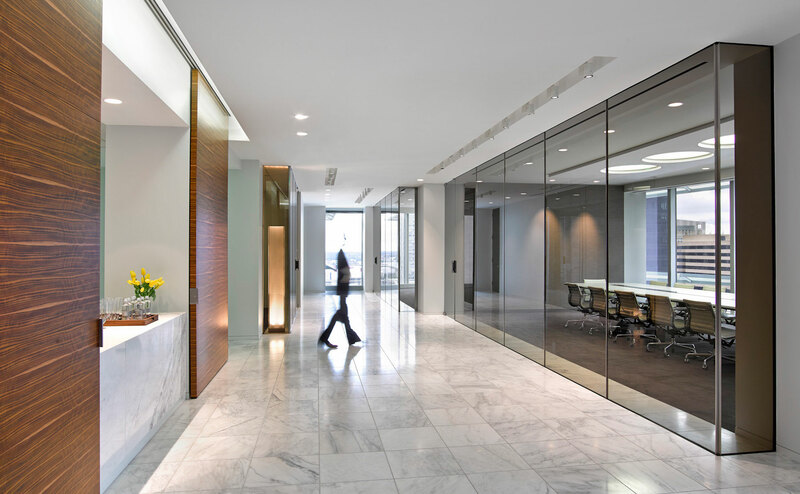 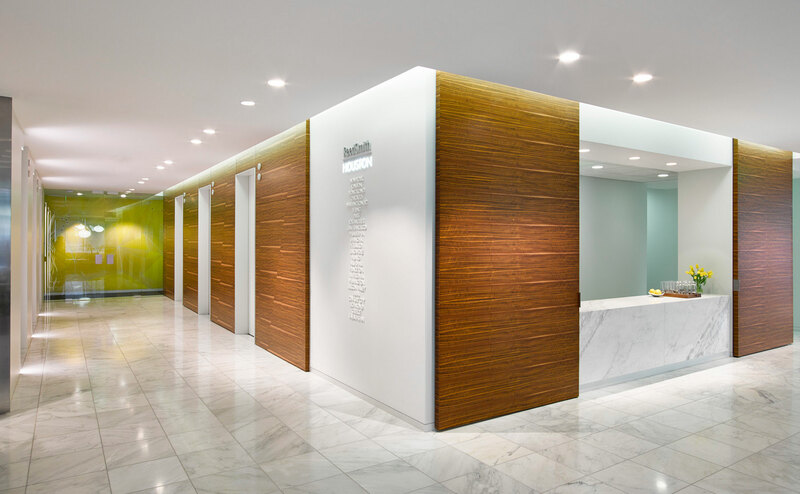 The intentionally offset, horizontal matched panels in the Reed Smith elevator lobby were the fun part of this project. 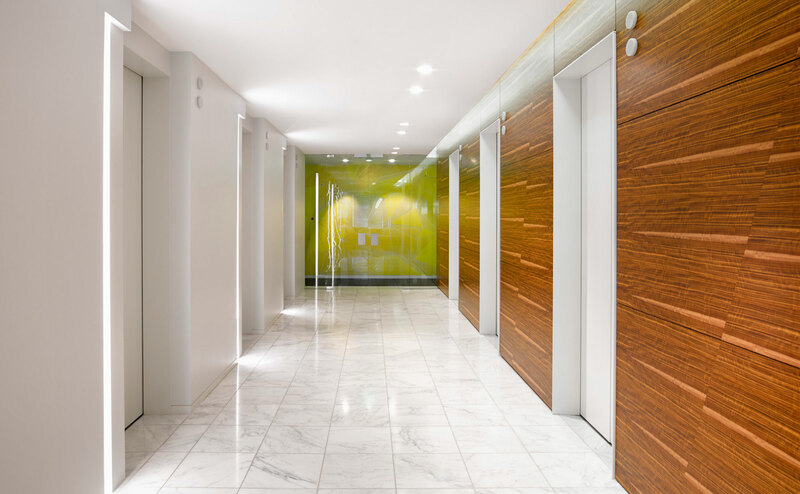 The intentionally offset, horizontal matched panels in the Reed Smith elevator lobby were the fun part of this project. 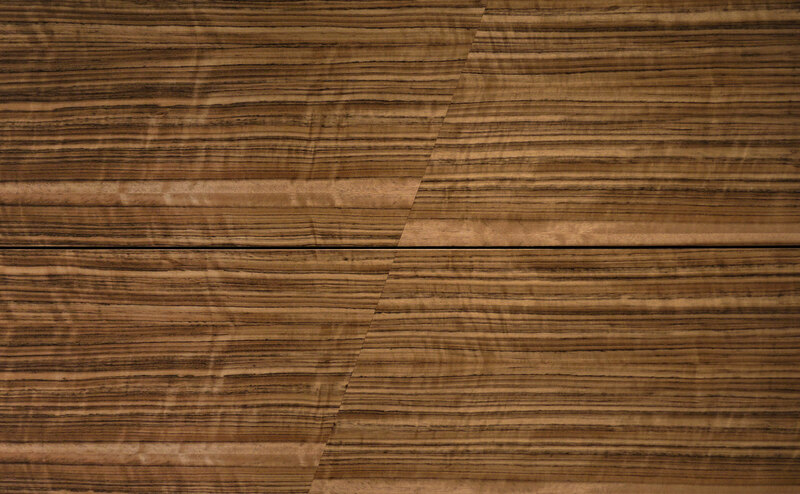 While the final solution seems simple, there was a lot of thinking that went into finding just the right amount of offset to ensure it looks intentional and not overdone, while keeping the match for the header at each shifted section, accommodating the length of the veneer as the highlight shift drifts lower and lower across the wall. 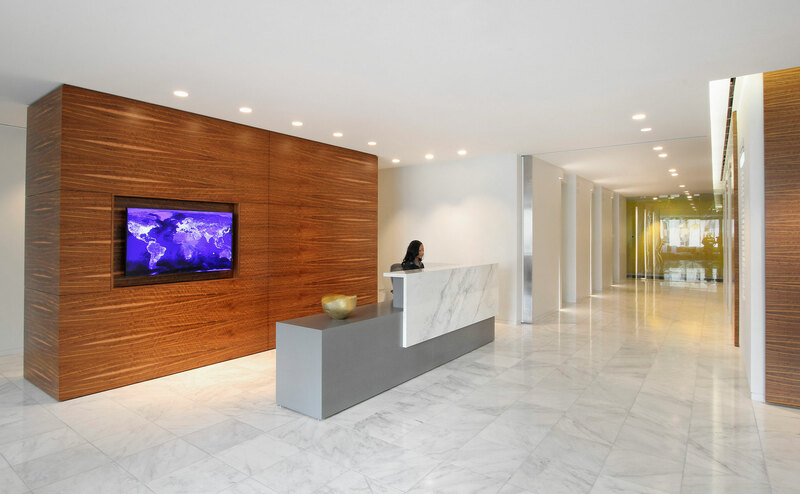 This was a very fast project where our design assist and coordination services were required in order to hit the required budget and schedule.